Before the black box is found let us be sure of one thing that the disappearance of this plane with innocent people on board was a hijack and nothing less. You can have a motive for a Hijack but that is something no one has to tell you about, or the motive which is only known to a handful of people who in turn may be compromised should they come out and reveal the motives. This is a hijack that went sour, or it was a Hijack which saw a battle in the sky between the Pilot his crew and the hijackers at large. So who were the hijackers. 9/11 planes spent some time in Malaysia doing their homework and after the initial attack the then Malaysian PM Mahathir Mohammed sounded sympathetic to their cause and it was only after George Bush II decided to sound very intimidating did he slyly creep into his shell and change his position. This same man Mahathir Mohammed, has fanned the fires of Islamic and Malay extremism in Malaysia using a NGO of which he is patron called PERKASA headed by an ex "political had been" - Ibrahim Ali whom he despised during the time he was PM. Since the missing of this plane these two extremists have been extra quiet, and too quiet for comfort. One would have expected Ibrahim Ali to come out ether in support or to condemn the Bomoh (Shaman) who claimed to offer his services at the request of a very important Malay personality and two days after that claim, he performed certain rituals at the Kuala Lumpur International Airport in the full view of the press which included sitting on a "magic carpet," of sorts to find out what happened to the plane. He very successfully made Malaysia the laughing stock of the world. tweeted proving that he too was on the list of Malaysian clowns and showing the entire world how efficiently Malaysian Ministers work, it took him two long days to make a response, when in fact he was actully intimidated by this man who is referred to as "Raja Bomoh," (Royal Shaman). The Shaman replied, "This boy who just became a minister should not seek publicity using me. Let me do my work (to locate the plane). Don't classify what I do as haram (forbidden in Islam)"
I shall not dwell on the entirety of his statement except for the first part, "This boy who just became a minister should not seek publicity using me." and say he was probably right. The Shaman I mean. Getting back to Ibrahim Ali the man who once threatened to burn Bibles one wonders why he did not take even take offence to the call by Government, its agencies and the Government backed media calling on all Malaysians to "pray for MH370?" One would have expected it, from the likes of him and his mentor Mahathir Mohammed, that was sacrilegious to the less intelligent like him. How could Muslims pray with non Muslims, when even using the word Allah is forbidden, moreover many of its passengers and crew, were Muslims, and in his book and if you follow his logic we can't pray for Muslims, although we do almost everyday There were also Buddhists some Christians, and even Hindus and how could you ask Muslims to pray for them, if you ask Mahahtir and Ibrahim I am sure they'll tell you it will confuse the Muslims in this country. Now knowing Ibrahim Ali's psyche he should have come out and rebuked press statements asking others to not to pray for Muslims, and he should have been backed by his patron when that was done, but here in Malaysia for once there was an eerie silence from these two extremists. PERKASA DID NOT EXIST IN THIS PERIOD BECAUSE THE INTERNATIONAL PRESS IS HERE AND MAHATHIR AND THIS GOVERNMENT UNDERSTANDS THE CONSEQUENCES. They must have been warned by the Malaysian government, PERKASA has the tacit backing of UMNO and this was proven at the last elections, UMNO the dominant Malay party in the country that has the PM as its president did not contest in the constituency where he stood as candidate, one of his strongest supporters was fielded as and UMNO candidate in the State of Selangor, both were unable to secure their seats. Why this eerie silence? Probably because when they open their mouths they'd reveal a lot of what they should not and the world will knwo the nonsense and the intimidation they give the other Malaysians, they will expose the apartheid part of Malaysia. So the question now is, did the Malaysians know what happened to flight MH370? The majority of Malaysians are guessing and so clearly they do not know, but not all Malaysians at large, I believe the Prime Minsiter and his closer inner circle knows or have a good idea of what is happening and are not telling. To quote the Acting Transport Minister who is the Defense Minister and the cousin of the Prime Minister, "there are somethings I can tell you, and there are somethings I can't tell you," when speaking to the press in the early days of this tragedy. The Acting Minister directed the reply to the Chief of the DCA who instead of answering the question talked about American radar detection of the same, the reporter went back to him again and he side stepped the question again. 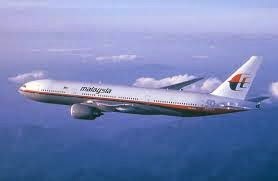 The issue here is the real issue of MH370, if there was an unidentified flying object over Malaysian waters and more so in Malaysian Air Space, the duty of the authorities would have been to ask the plane to identify itself failing which the Royal Malaysian Air Force should have scrambled its jets to guide the plane to the airport. This was not done most probably because the officers and men who were supposed to do this were sleeping, or because they knew that something aboard the plane was amiss and if they tried going for it, it would endanger the lives of the passengers, or the more likely possibility was they were instructed not to do anything. The fact that the pilot turned the plane and came into Malaysian air space and shut off all communications clearly indicates that he was trying to give the ground control a signal that something was amiss, he may have wanted the RMAF to scramble, they have planes in the north close to where he was and why did they not scramble and confront the plane? This is the negligence and the incompetence that lost MH370 and this is the incompetence of the Minister of Defence, the Prime Minsiter, and the Chief of the Armed forces and the Chief of the Air Force. They should be held responsible and accountable the armed forces personnel here should be court martialed and that is the only logical step. The Prime Minster and the Minisiter of Defence must be held accountable. The PM should resign and the Defence Minster sacked before he makes that move to resign. I said the plane was hijacked and I'll stand by my story, in such cases we only work by the balance of probabilities and it weighs heavily on a Hijack they had all the elements on board. We know from the Bali bombings that high level professionals now make up the terrorists, if this Pilot intended to blow up this plane he'd have taken it to Putra Jaya and crashed it on the official residence of the PM, he has been portrayed as pro Anwar fanatic, and if that was the case that is exactly what he would have done, but why did he take the flight all the way down South the Indian Ocean. His co pilot was a young man, adventurous and a typical young man who behaves like most young men do. His father can be a BN supporter in fact I am told he is, but what has that got to do with this case. If the ministers can't understand that they have a lot of growing up to do. What about the issue of Nazri's son, what about the various stories of Ministers children some which are in circulation on the net. For goodness sake Najib and/Company grow up. Now they say that the chap who said 'Good night' was this young Pilot. What are they trying to imply? Why did he say that and not the usual "roger" and all that jazz. He like the main pilot was trying to draw the attention of the authorities, but we have dumb fools on the ground and they did not get it they did not react in time, all this is after thought, they were crying out loud, "come get us, you idiots come get us!!" When something is wrong with a plane in the air with 239 people on board it is the job of the people on the ground to react as soon as they find something amiss or something wrong but that failed to happen so now we are looking at the skies for excuses and we have found two innocent gentlemen to take the rap. I am told by some air traffic people that they were waiting for the plane to land in Beijing, even Beijing I suppose was not informed about the status of this plane and it is only after they failed to land on schedule and when it was delayed by more than half an hour that Beijing was informed. The Acting Minster of transport was in Janda Baik for his weekend I suppose, he was informed in the early hours of the morning but took his own time to get to the airport. Two hundred and thirty nine lives did not mean that much at that time , I guess it is now that he sees the magnitude of the problem and the beating his image and that of his cousin is taking the world over, two circus clowns would have done better. My apologies to circus clowns you are far better. So who were the hijackers? I reckon it must be a person with tertiary qualifications, has reasons to align with a terror organization, , has a cause that he is willing to die for and is willing to pursue that cause. The plane had three people who fit the image I'll let Interpol tell you about it if they are competent enough. A terrorist is never going to come stand in front of you put his hand up and say, 'Sir!, I am a terrorist." A terrorist will not look like a terrorist, and you'll not suspect him at all unless he has had a record. 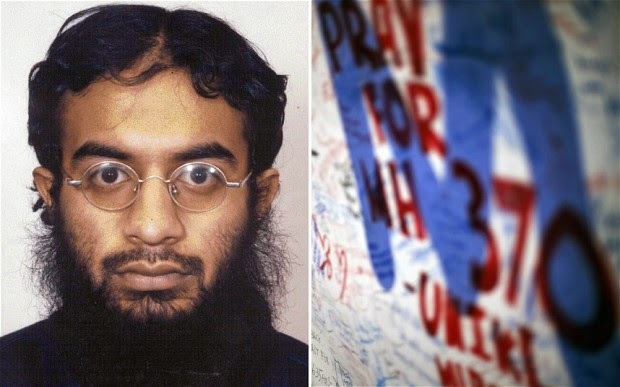 Does this Holy looking man look like a terrorist? Chinese Passports identifying them as Uighurs given to them in Beijing with which they could seek asylum in Europe? Could the mastermind or rather the director of ops have been a Uighur on board? Was Beijing the target and was that why the plane was taken into the Indian Ocean when Malaysian authorities failed to check it? Somewhere in the flight that became apparent, at the point they were in is the most likely area when the take off your seat belt sign would have come on, that would have been the sign for these terrorists to begin their act. The part of the Indian Ocean where the plane is most likely to have gone down in is a very secluded area, the people on board were going to die so that was the only way out to prevent further damage to life and property and that is what the pilot did. Remember the case of the Indian pilot who took his plane out to see when he knew it was going to crash? Was it in Mumbai? Pilots are trained to be responsible for life and they have been proven to be good at it. Instead we only look at the very very few cases of Pilot Suicide. 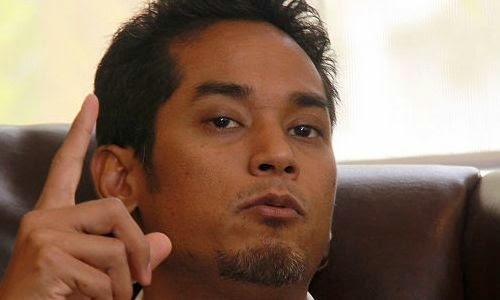 Besides the the two passengers on fake passports and the Uighur on board were there any Malaysian in this plot, after all we have a record for it, we had Noordin Top, Dr. Azahari Hussin and we have PERKASA the Malaysian cradle for terror, the group that has led a lot of Malaysians to think extremely and to threaten people - not foreigners but Malaysians with violence and they do this unabated with the support of UMNO. I see PERKASA as a cradle of terror activities for it is from such organizations with such ideologies that the terror groups recruit their young who become ardent followers and our authorities know this but fil to act they encourage it most of the time. There has never been so much of a lull from Ibrahim Ali, and PERKASA? Where is Mahahir? His silence in this entire episode is deafening. That the plane was hijacked goes without saying, both the Pilots are not part of this Hijacking and that is fact, but whoever it was is probably known to the Malaysian Government. The black box must be inspected by a multinational team to include the Americans, Chinese, Indians, French, Russians, English and Malaysians. I'd like to add Mongolia too, but I really do not know if they have the competence. I just hope MACC catches up you pretty soon for cooking up stories based on half truth.